The spokesman said the criticism also “overlooks the fact that concerns about … the ICC’s own governance of the game are a significant theme [and cause for concern] in the programm itself”. The documentary, Cricket’s Match-Fixers, screened on Sunday and exposed widespread corruption in the game. In one of the investigation’s many revelations, match-fixers in Sri Lanka described to an undercover reporter how they doctored two Test match pitches at Galle International Stadium to make money from betting. Concerns about the condition of the pitch at one of those matches – Sri Lanka versus Australia in 2016 – were said to have been raised with the ICC at the time. The world’s cricket authority took no action. The ICC has so far failed to respond fully to suggestions made by a match-fixer in the programme that his criminal syndicate bribed anti-corruption officials. The spokesman said the unit has to “respect the fact that there are ongoing sensitive legal considerations, including potential criminal investigations into the match-fixing allegations in Sri Lanka and India. The Al Jazeera investigation found evidence of many different types of match-fixing, including spot-fixing, fixing results, pitch-fixing and plans to set up a fake tournament planned solely for the purposes of match-fixing. 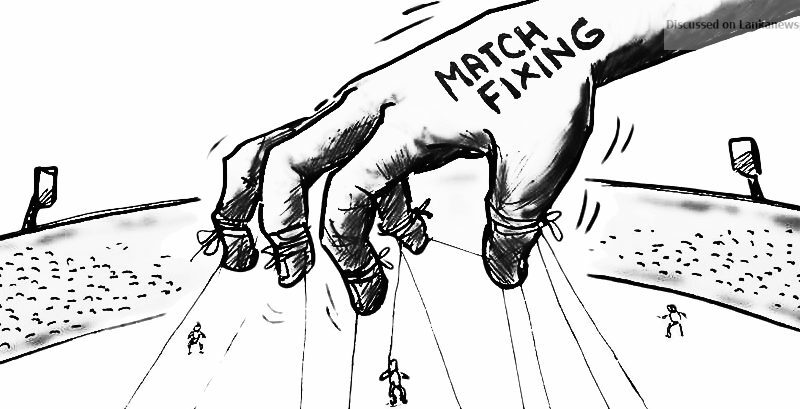 The documentary revealed and named fixers, former international players and officials involved in match-fixing.